According to Money Magazine, window cleaning is the number one presale improvement. It generates the best return on your investment. Are you considering putting your property on the market? 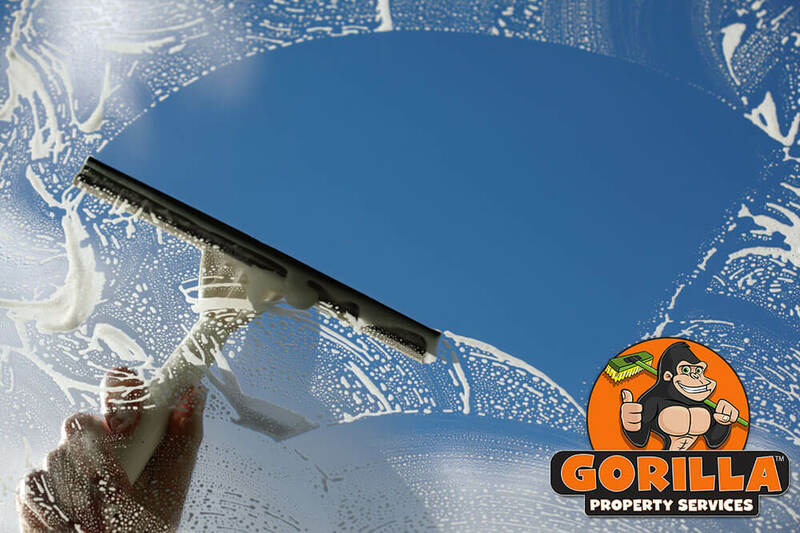 Then, there is no better time to call Gorilla Property Services for our thorough Langley Window Cleaning service. Our fully trained and certified Gorilla technicians have a simple mission. Provide quality interior and exterior window cleaning at three storeys and below, so you can brighten and beautify your home or business! However, selling your home is not the only reason to consider a regular Langley Window Cleaning service. Spotless windows vastly improve the look of your property both inside and out. They also increase efficiency. Well maintained glass keeps the cold air out while allowing the sun’s heat to come in. This will ultimately save you money on bills. Neglecting window cleaning can also lead to the glass degrading over time, reducing its life span. Dirt and filth from run-off, sprinkler systems, rain or overspray from building work, settles in the nooks and crannies. It embeds itself in the porous surface. Here, at Gorilla Property Services, we recommend having our Langley Window Cleaning Service carried out at least twice a year in order to avoid this. A Bi-annual Langley Window Cleaning Service is much less expensive than having all your windows replaced! Essentially, our aim is to provide the highest standard of cleanliness from the start of the job until the final window is complete. 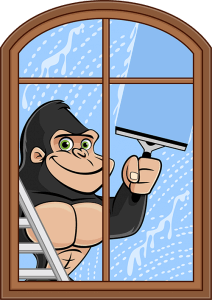 Our Gorillas clean windows by hand. We use biodegradable, earth friendly cleaning solutions paired with pure rubber squeegees. This reduces static build-up and ensures a longer lasting shine. And we don’t stop there! Every sill is wiped down and we will happily add cleaning the entire frame to the schedule. All you have to do is ask!